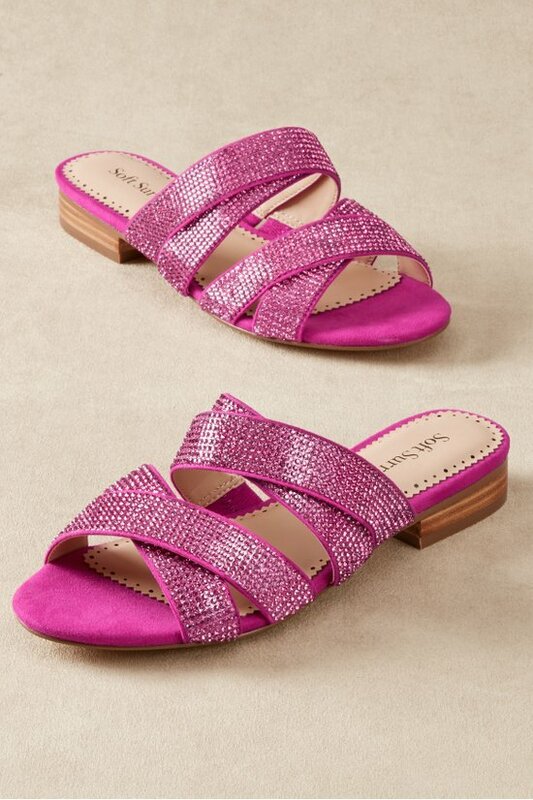 We love the subtle shimmer created by the mini faux rhinestones on these casually elegant summer sandals. Soft microsuede, crisscrossing wide straps, and a padded footbed will keep you in your comfort zone. 3/4" heel.